A beautifully illustrated collection of stories from the hit podcast Lore—now a television series from Amazon Studios—that combines fan favorites like “Unboxed” and “They Made a Tonic” with new tales to deepen the legends. In this beautifully illustrated volume, the host of the hit podcast Lore guides us through the fascinating history of these terrifying creatures, exploring not only the legends, but what they tell us about ourselves. Aaron Mahnke invites us to the desolate Pine Barrens of New Jersey, where the notorious Jersey Devil dwells. He visits the dimly lit rooms where séances take place, the European villages where gremlins make mischief – and even the Florida home of a haunted doll named Robert. The monsters of folklore have become both a part of our language and a feature of our collective psyche. Whether these beasts and bogeyman are real or just a reflection of our primal fears, we know, on some level, that not every mystery has been explained, and that the unknown still has the power to strike terror into our hearts. 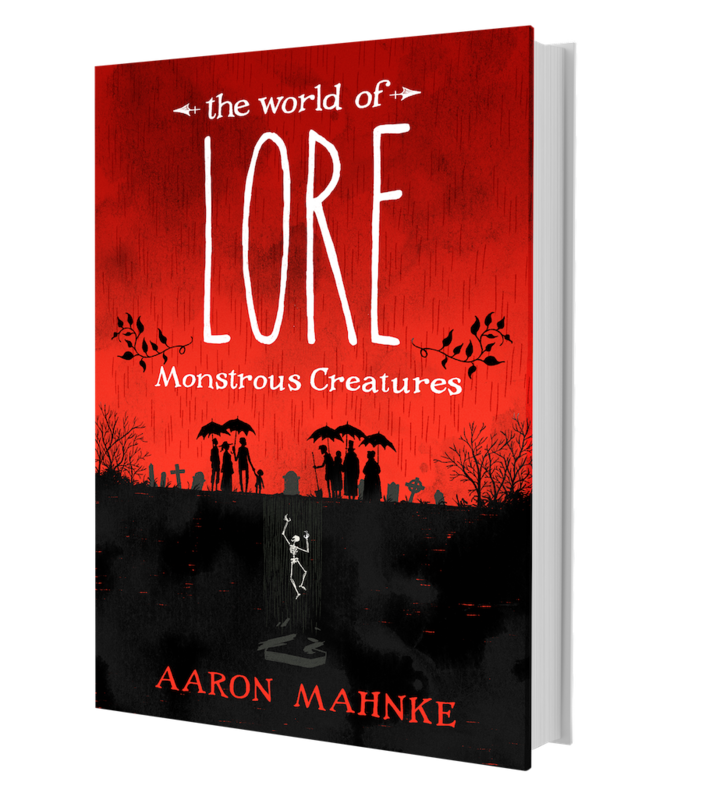 As Aaron Mahnke reminds us, sometimes the truth is even scarier than the lore. © 2017 Aaron Mahnke. All rights reserved.